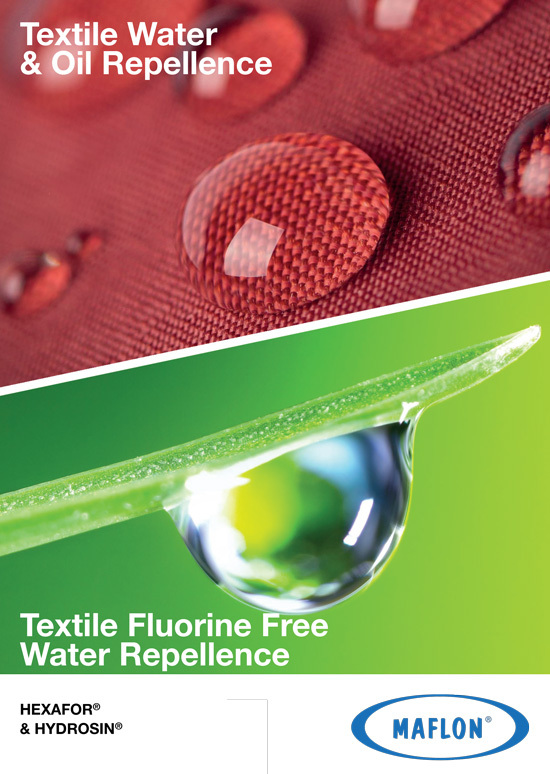 Hexafor® fluoropolymers specifically designed to impart durable water repellence (DWR) effect, oil repellence and stain release properties to various kind of fabrics. These polymers are suitable for both textiles and nonwoven materials as highperformance outdoor equipment and work-clothes. Once properly applied they do not interfere neither with the original breathability or with the softness of the fabrics. 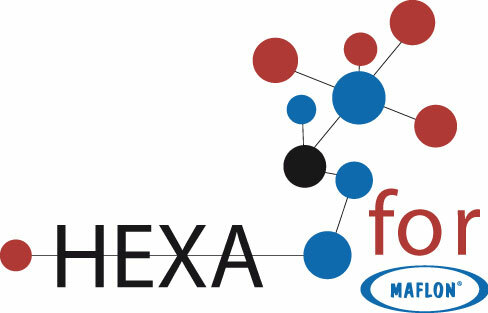 All of our C6 Hexafor® fluoropolymers are Perfluorooctanesulfonic acid (PFOS) and Perfluorooctanoic acid (PFOA) free. Finishing product for extremely durable water- and oil- repellent treatment of textiles made of synthetic and cellulosic fibres (especially for cotton, polyester and their blends). It provides an excellent water- and oil- repellence, as well as stain and chemical resistance. It is compatible with various crosslinking agents, catalysts, softeners and other textile auxiliaries. It is specifically designed for technical textile and for wood. Due to the low temperatures required during the application, it is suitable for PP and its mixtures. It does not change the stiffness of polyester fibres. It also protects the fibre colours. Highly efficient finishing product for durable water- and oil- repellent treatment of textiles made of cellulose, synthetic fibres and their blends. The best performances are achieved on cotton textiles. Finishing product for extremely durable water- and oil- repellent treatment of textiles made of synthetic and cellulosic fibres. In particular, it has an excellent resistance to washing.